The following services we offer are designed to improve and preserve the crown of the tree without having a detrimental affect on the tree, whilst also improving the aesthetics and hopefully resulting in excellent customer satisfaction as well as value for money. Crown lifting is the removal of the lowest branches and/or preparing of lower branches for future removal. Good practice dictates crown lifting should not normally include the removal of large branches growing directly from the trunk as this can cause large wounds which can become extensively decayed leading to further long-term problems or more short term biomechanical instability. Crown lifting on older, mature trees should be avoided or restricted to secondary branches or shortening of primary branches rather than the whole removal wherever possible. Crown lifting is an effective method of increasing light transmission to areas closer to the tree or to enable access under the crown but should be restricted to less than 15% of the live crown height and leave the crown at least two-thirds of the total height of the tree. Crown lifting should be specified with reference to a fixed point, e.g. ‘crown lift to give 5.5m clearance above ground level’. The initial removal of the top of a young tree at a prescribed height to encourage multistem branching and dense new growth from that point, traditionally for fodder, firewood or poles. Once started, it should be repeated on a cyclical basis always retaining the initial pollard point, or bolling as it becomes known. This technique is used on avenues of trees. Minor pruning during the early years of a tree’s growth to establish the desired form and/or to correct defects or weaknesses that may affect the structure in later life. We offer a professional service, client’s wishes are listened to and a solution to the well being of the tree is an end result. We leave all sites tidy and can remove all debris. 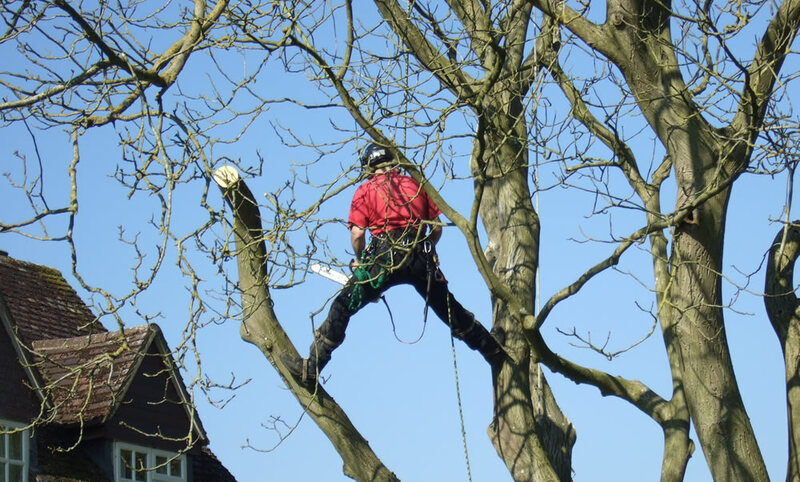 We carry out our services in Oxfordshire, Northamptonshire, Buckinghamshire, and we are a member of the Arboricultural Association; we have been approved by Trading Standards and are a member of Buy with Confidence.